Mater Ecclesiae Roman Catholic Church, Berlin, NJ, Diocese of Camden, welcomes you to attend the 14th Annual Assumption Mass. The Mass, in the Extraordinary Form, will take place on Friday, August 15, at 7:00 PM, at the Cathedral Basilica of Saints Peter and Paul, 18th Street and the Benjamin Franklin Parkway, Philadelphia, PA 19103. There is a parking lot next to the Cathedral and there is an underground garage at the Sheraton Hotel on 17th Street. The celebrant of the Mass, who will also deliver the sermon, is Monsignor Andrew Wadsworth. Msgr. 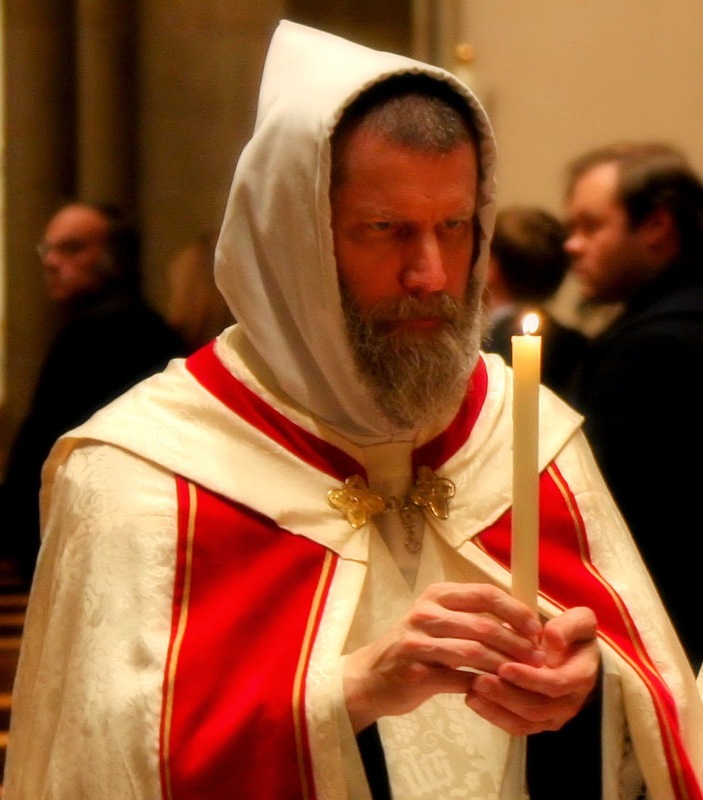 Wadsworth, originally a priest of the Archdiocese of Westminster, London, is now the superior of the Oratorian Community of St. Philip Neri, an oratory in formation in the Archdiocese of Washington, D.C. Since 2009, he has been Executive Director of the International Commission for English in the Liturgy (ICEL), responsible for the proposal of English translations of Latin liturgical texts for use in places where the liturgy is celebrated in English. Msgr. Wadsworth has written and lectured widely on both forms of the Roman Rite and the 'ars celebrandi'. 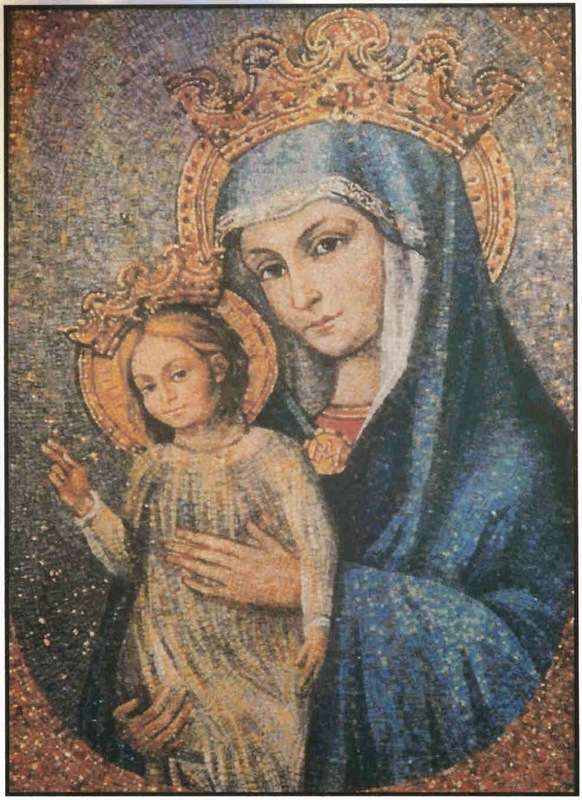 This Mass was begun fourteen years ago to thank and honor our Lady for the establishment of Mater Ecclesiae. We also wanted to feature some of the greatest works of orchestral/choral music ever written for the Sacred Liturgy. Under the direction of Dr. Timothy McDonnell, the setting for the Ordinary of the Mass is the "Missa in Angustiis," or "Lord Nelson Mass," by Franz Joseph Haydn sung with full orchestra. Other works include the motets "Salve Regina" by Antonio Salieri (1750-1825), the "Salutatio D.N.I.C." by Ludwig Senfl (1486-1543), the "Beata Viscera" by Gregor Aichinger (1565-1628), the "Adagio" from Concerto for 2 oboes in G Major by Tomaso Albinoni (1671-1751), the "Hodie Maria Virgo" by Luca Marenzio (1553-1599), the "Tantum Ergo" by Wolfgang A Mozart (1756-1791) and a Postlude, "Concerto for 2 trumpets in D Major", by Giuseppe Maria Jacchini (1663 - 1727). The traditional hymns, "O Sanctissima and Hail Holy Queen," arranged by Dr McDonnell, will also be sung. We wish to thank His Excellency, Archbishop Charles Chaput, as well as the rector of the Cathedral Basilica, Father G. Dennis Gill, for the great privilege of celebrating this Mass in the Cathedral Basilica of Saints Peter and Paul. Please spread the word about this grand celebration of Our Lady's Assumption. Young people! Join Juventutem on August 4th for a solemn Mass (EF, of course) and social following. A reader provides all the details below. This is a bit closer to me than most of their events, though unfortunately, I will not be in attendance. I have heard many good things about Juventutem, and I hope you can make it, if you are in the area! I look forward to being able to attend a Juventutem event in the future. On Monday evening, August 4th, young adults (18-35) and clerics who appreciate the Traditional Latin Mass are invited to gather at the Oratory of St. Francis de Sales for a 6:00pm Solemn Mass, followed by an 8:00pm social at Hodak's Restaurant & Bar, 2100 Gravois Ave, St. Louis 63104. Hodak's is located a half-mile from the Oratory of St. Francis de Sales, and this social gathering is scheduled so as to directly follow the Solemn High Mass. We hope that this gathering will bring together young adult Oratory parishioners (who may be members of Sursum Corda St. Louis), other St. Louis young adults, and visiting traditionalists from around the country. Leaders of other American Juventutem chapters will be present and would be glad to encourage and answer any questions of any St. Louis young adult who might seek to establish a Juventutem chapter in that archdiocese. The Cistercians, like the Premonstratensians, changed their Offertory in the middle of the 17th century, abandoning the traditional form of their Use and replacing it with that of the Missal of St Pius V. The vogue for Romanization was at the time so strong within the Order (and elsewhere) that the possibility was seriously considered of completely abandoning the Cistercian Use of the Office in favor of the Monastic Breviary of Paul V, a matter in which, fortunately, wiser heads prevailed. Here I shall describe the Cistercian Offertory ritual as it was before this change. After saying the Offertory antiphon, the priest elevates the paten, host and chalice together, and says the Cistercian version of the standard Offertory prayer Suscipe Sancta Trinitas while kneeling. Suscipe, sancta Trinitas, unus Deus, hanc oblationem, quam tibi offerimus in memoriam beatæ passionis, resurrectionis et ascensionis Domini nostri Jesu Christi: et in honorem beatæ Mariæ semper Virginis genetricis ejusdem Domini nostri, et omnium Sanctorum et Sanctarum, caelestium virtutum et vivificae Crucis; ut eam acceptare digneris pro nobis peccatoribus, et pro animabus omnium fidelium defunctorum. Qui vivis et regnas Deus. Per omnia saecula saeculorum. Receive, o holy Trinity, one God, this offering, which we offer to Thee in memory of the blessed Passion, Resurrection and Ascension of our Lord Jesus Christ, and in honor of the blessed Mary ever-Virgin, and mother of the same Our Lord, of all holy men and women, of the heavenly powers, and of the life-giving Cross; they Thou may deign to receive it on behalf of us sinners, and for the souls of all the faithful departed. That livest and reignest, God, for ever and ever. Amen. Bowing profoundly before the altar, he then says the prayer In spiritu humilitatis, with the same variation found in the Dominican Use. In a spirit of humility, and in contrite heart, may we be received by Thee, o Lord; and so may our sacrifice take place in Thy sight this day, that it may be received by Thee, and please Thee, o Lord. The Cistercian version of the Orate fratres is “Orate, fratres, pro me peccatore: ut meum pariter ac vestrum in conspectu Domini acceptabile fiat sacrificium. – Pray brethren, for me, a sinner: that my sacrifice, which is also yours, may be made acceptable, in the sight of the Lord.” This is very similar to that of the Premonstratensian Use; the reply to it is identical between the two uses. Dominus sit in corde tuo et in ore tuo; suscipiatque Dominus Deus de manibus tuis sacrificium istud, et orationes tuæ ascendant in memoriam ante Deum pro nostra et totius populi salute. May the Lord be in thy heart and in thy mouth, and may the Lord God receive this sacrifice from thy hands, and may thy prayers ascend in remembrance before God, for our salvation and that of all the people. Like many missals formed in the medieval period, printed Cistercian Missals before this reform have no Ritus servandus, the long rubric describing in detail the actual rite of Mass; this was written down in a separate book. Fr. Edmund Waldstein of Heiligenkreuz Monastery in Austria (a.k.a. Sancrucensis) very graciously provided me with the text of this rubric from a 12th-century Cistercian manuscript. This contains a description of the rite of incensing, which I include as something which may perhaps interest the reader. One should not assume, however, that this rite was still done in precisely the same manner in 1606, when the Missal out of which I have cited the Offertory above was printed. 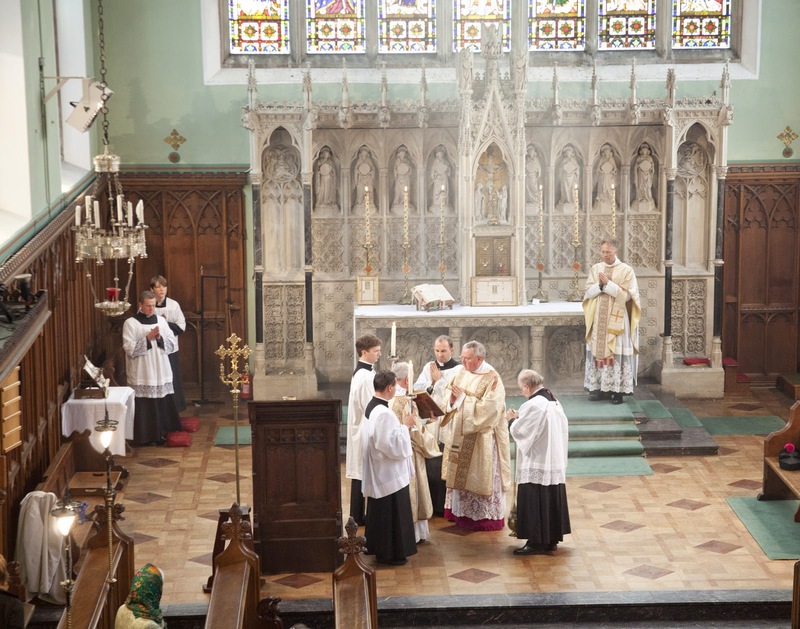 When the priest has received the thurible from the acolyte, he passes it once around the chalice, then incenses the right side of the mensa, the left side, and the front of the altar. He passes the thurible to the deacon, and proceeds to wash his hands, assisted by the subdeacon, after which he bows low and says In spiritu humilitatis. Meanwhile, the deacon, standing slightly away from the altar, incenses the right side of the altar twice, then the cross twice; he then passes behind the altar over to the left side, incenses it twice, and the cross on the altar twice again. The thurible is then given back to the acolyte. No reference is made to incensing any of the persons present, as one might expect in the spirit of Cistercian austerity. The Cistercian Abbey of Pontigny, one of the four eldest daughter houses of Cîteaux. In the Cisterican system of visitations, by which mother-houses would routinely visit their daughters to ensure adherence to the rules and customs of the Order, Pontigny took turns with the abbeys of Clairvaux, La Ferté and Morimond in visiting Cîteaux itself. It was here that St Thomas Becket took refuge when driven out of England by King Henry II in 1164. No one will be surprised to know that the Carthusian Offertory is even simpler and more austere than that of the Cistericans; uniquely among the Uses of the religious orders, it contains no version of Suscipe Sancta Trinitas, even though that prayer was well established as a part of Offertory when the Carthusian Order was founded in 1084. Here I give the texts and basic rubrics from a Missal of 1627; a fuller account of the Carthusian Mass is given in this article from 2008. The prayer In spiritu humilitatis is the same as the Cistercian version noted above, but it is said “when he offers the chalice at the middle of the altar.” He then makes the sign of the Cross with the chalice, saying “In the name of the Father etc.”, and lays it down. The Missal does include a simple rubric for the incensation at the Offertory. The priest begins by holding the thurible over the chalice, without moving it, and saying “Let my prayer, o Lord, be directed as incense in thy sight.”, but only this. He then makes a cross over the chalice with it once, saying “In the name of the Father etc.” He then swings the thurible once towards the cross, once over the right side of the mensa, once over the left side, and three times before the front. 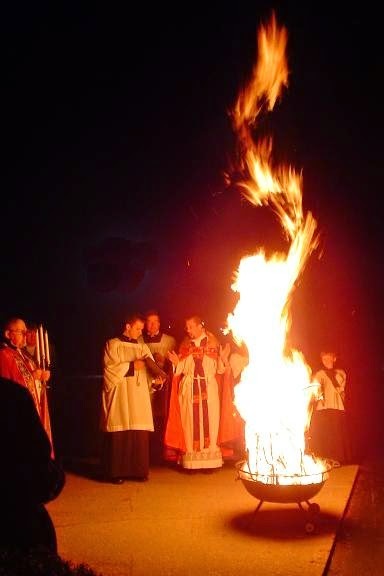 As in the Cistercian Use, the incensation of the altar is continued by the deacon, who walks around the altar in a full circle, stopping to incense the Blessed Sacament as he passes both behind and in front. As the Priest turns and says the Orate fratres, the deacon raises the front of the chasuble with one hand and with the other incenses the priest with one swing of the thurible; only the priest is incensed. The Orate fratres is much shorter than that of the other religious Uses of the same period, consisting only in the words “Orate, fratres, pro me peccatore, ad Dominum Deum nostrum. – Pray brethren, for me a sinner, to the Lord, our God.” No reply is made. This series was begun as a reply to the contention made elsewhere that the Offertory was invented in the Scholastic period to create a “second sacrifice” of bread and wine, apart from the Sacrifice of Christ’s Body and Blood. I have argued against this partly on the basis of the fact that the Roman version of the Offertory makes no reference to either bread or wine as objects of sacrifice. The Carthusian version does not even use the word “sacrifice”. 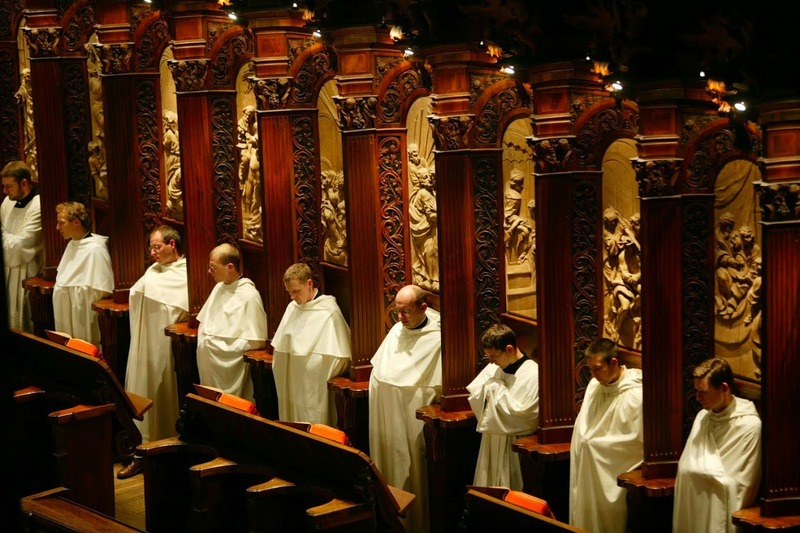 If the Offertory were indeed an imposture of the Scholastic period, which succeeded in foisting itself on the entire Western Church, how were the Carthusians alone allowed to not adopt this putative new theology of sacrifice and priesthood? 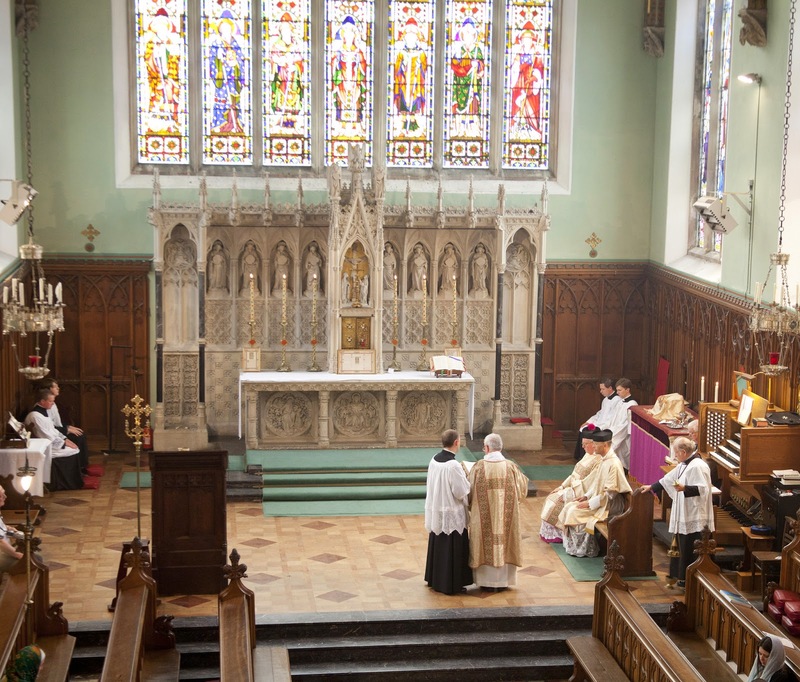 We must also note that unlike the Cistercians, Premonstratensians and Carmelites, their use of the Mass was never Romanized, and continued to have this particularly simple form of the Offertory ritual throughout the post-Tridentine period. Joseph Shaw of the Latin Mass Society has posted to his flickr account some great photographs from a day of Eucharistic Recollection held at St Edmund’s College in Ware, Hertfordshire, England, led by Fr. Armand de Malleray, FSSP, assisted by Mgr. Gordon Read and Fr. Patrick Hayward, with the schola led by Mr. Christopher Hodkinson. Fr de Malleray gave spiritual conferences, and the day concluded with Solemn Vespers, veneration of a relic of St. Edmund of Abingdon, and Benediction, officiated by Mgr Read. As NLM readers will know, my friend Stratford Caldecott died very recently of cancer. I heard the news at a time that I was was reading his newly published book, Not as the World Gives: the Way of Creative Justice. It was just yesterday that I discovered that in the psalter he is in fact portrayed kneeling before an unknown king. 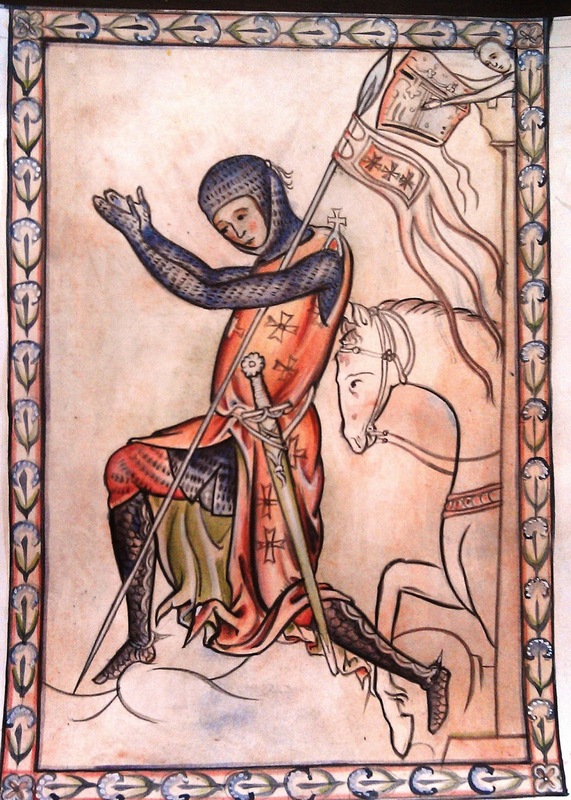 The picture that I painted of this knight, below, is my Christian Knight. When I painted it I thought of him as accepting his call from God to take up his personal vocation in life. But now I see him paying homage, as Strat described in his book, to the King of Kings, seeking personal transformation in Christ and accepting his role as a walking icon of Christ in the world, drawing others to the Faith. Our entire life, the whole liturgy, and everything ceremonial are symbols. If you abolish the symbols, then you tear down the walls of your own house. When we abolish the signs, we lose our orientation. Instead, we should search for their meaning … one should unfold the core of the symbols. … The signs are not to be questioned, we are. That is monastic wisdom, pure and simple. It furnishes us a lesson that may, in fact, be the most important lesson of all in our age of constant change, planned obsolescence, the myth of progress, the seductions of postmodern pluralism. The liturgy, like the divine revelation out of which it emerges and to which it ministers, is our lifeline to God, giving nourishment to our faith, oil to the fire of our charity. If we lose our hold on the sacred symbols that come to us from the cosmos and from revelation, we will indeed lose our orientation to God; we will tear down the walls that surround us, and will lose our faith, our charity, even ourselves. We must not adapt the signs to ourselves, for that will bring about nothing more than an echo chamber, a hall of mirrors that reflects only us. We must rather conform ourselves to the sacred signs, and be molded by them, for they are tools used by the potter’s hands. Whatever belongs to the liturgical offices, objects, and furnishings of the Church is full of signs of the divine and the sacred mysteries, and each of them overflows with a celestial sweetness when it is encountered by a diligent observer who can extract honey from rock and oil from the stoniest ground (Deut 32:13). . . . I, William, bishop of the holy church of Mende, by the indulgence of God alone, knocking at the door, will continue to knock, until the key of David deigns to open it for me (Rev 3:20), so that the king might bring me into his cellar where he stores his wine (Song 2:4). What Bishop William is saying (and goes on to say at some length) is that he knows the liturgy is a treasure trove of mystical meaning, a means of purification, illumination, and communion, and so he will knock continually at the door of the Lord, with all diligence and zeal, until he understands everything he can, turning it to his own advantage and that of the flock he shepherds. Now this is an attitude of true humility, of trust in the ways of Providence, of heartfelt surrender to the sacred liturgy so that it may shape us through and through, unto the image of the New Adam. And this, too, is the reason why a full parish life is required to sustain the liturgy and to initiate generation after generation into this sacred inheritance. The formation of the New Adam is a formation of the whole person—the imagination as well as the intellect, the child as well as the man, the family as well as the individual, from cradle to tomb, before and beyond. As a gem shines more beautifully when set in gold or silver, the traditional Mass is but a part—the most important part—of a whole that surrounds it and endows it with maximal power to form the Christian. All the activity of the parish life are a preparation for the Holy Sacrifice, or a flowering of it. Because of the sacred nature of the Mass and Holy Eucharist, Catholics require a strong doctrinal and spiritual formation. … Within these [sodalities and confraternities], the faithful have a greater sense of the parish as the locus of their participation in the Mystical Body of Christ. … The parish life in a Fraternity apostolate may be characterized as imbuing Catholic families with a true Catholic identity. … The parish today must also be a bright beacon of light, a sign of contradiction, and a haven for hungry souls in an ever-secularizing world. This mission is carried out first and foremost by the outward expression of its worship of God. 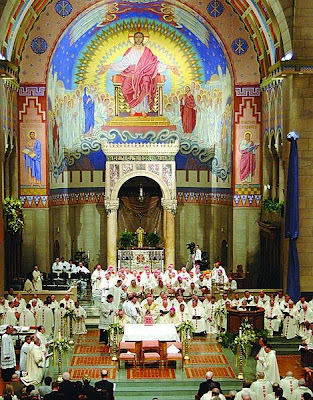 Dom Alcuin Reid has often made a related point: the most curiously neglected passages of Sacrosanctum Concilium are those in which the Council Fathers indicate that the only way liturgical reform will be fruitful is if the clergy and the faithful are profoundly immersed in the spirit of the liturgy. Only by a true formation in and by the sacred liturgy in all its objectivity and splendor can there be authentic Christian renewal and, with it, prudent liturgical reform, as Guardini before the Council and Ratzinger after the Council recognized. 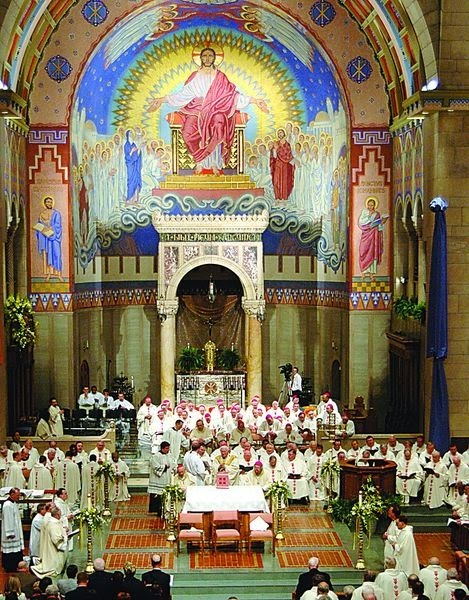 On January 1, 2012, Pope Benedict XVI established the Personal Ordinariate of the Chair of St. Peter for those groups of Anglicans in the United States who seek to enter into full communion with the Catholic Church. This is the second Ordinariate created in light of the apostolic constitution Anglicanorum coetibus, the first having been created for England and Wales on January 15, 2011. Pope Benedict’s gracious response represents an important and exciting new step along the difficult path toward Christian unity. This will be followed the next evening at 7:30 PM by a Solemn High Mass according to the Anglican Use of the Roman Rite. This Mass will feature the group Cantores in Ecclesia singing the “Mass for Four Voices” by Thomas Tallis. All are welcome who wish to understand and experience this great gift of our Pope Emeritus to our universal Church. The fourth Sunday of Lent, John XXIII was once again among the crowd, at Ostia. (about 15 miles to the south-west of Rome.) Thousands of people were waiting for him along the street, in the piazza, in the church. They wanted to see him, to applaud him. They did not know that afterwards, he would rebuke them, in a good-natured way, in his simple , spontaneous, familiar way of speaking. Here is a small piece of news for any who were following the story of the Oratory in Formation in St Anthony's Parish in Port Antonio in Jamaica. Mgr Michael Palud has just informed me that their website is now up, here. If anyone wishes to contact them or support their work and community please contact them through this website. This is a nice little excuse to remind NLM readers of its establishment and to ask for prayers and support for them. It is a question for Church historians and social historians whether this shift in attitude was actually created by what the persons here interviewed describe as the aftermath of World War I, “a sense of brooding nihilism, (the belief that) nothing was effective”, (Dr David Berlinski), a “shak(ing of) the faith that many Europeans had in their own elites ... (including) religious elites.” (Dr Margaret MacMillan) The emergence of Modernism in the Church well before World War I suggests perhaps that it was already present, but strongly reinforced by the great catastrophe which Pope Benedict XV called “the suicide of Europe.” The shift itself, however, is unmistakable. It may best be seen, I think, in the difference between the writings of Dom Guéranger in the 19th century, and those of the Bl. Cardinal Schuster in the 20th. 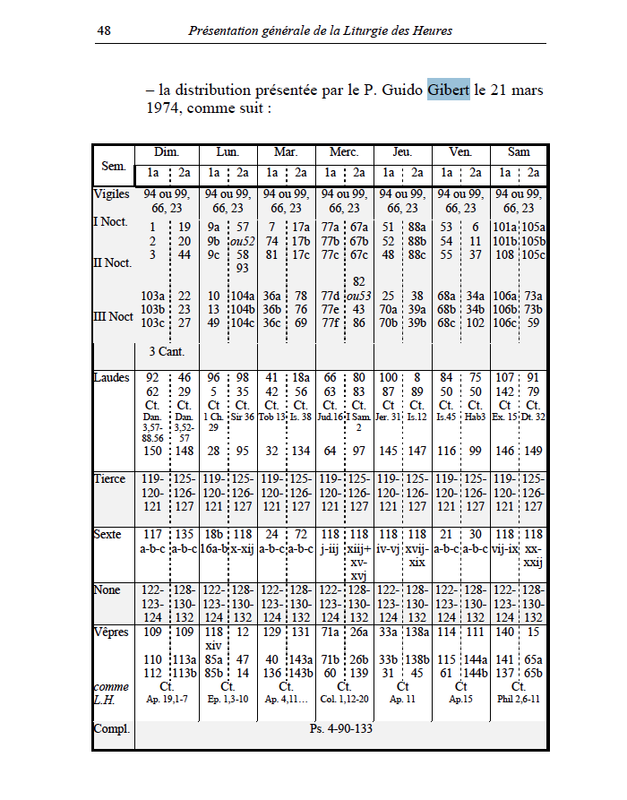 Every page of the former’s The Liturgical Year breathes a profound reverence for the texts and rites of the liturgy, be they those of great feast day, or an obscure sequence not used since the 14th century. Describing the liturgy of Palm Sunday, Dom Guéranger writes this of the Epistle which is sung before the blessing of palms in the Missal of St Pius V, Exodus 15, 27 - 16, 7. I would highly recommend to those who find the CNS piece of interest that they also watch this interview with Dr David Berlinski. Personally, I find everything that he says fascinating; after watching an earlier interview on the same program, I read his previous book, The Devil’s Delusion: Atheism and Its Scientific Pretensions, and enjoyed it immensely. Starting at 26:14, he discusses with Peter Robinson the 19th-century’s highly optimistic notions of the inevitable improvement and perfection of society, and the dashing of that optimism in the 20th. Deus, a quo sancta desideria, recta consilia, et justa sunt opera: da servis tuis illam, quam mundus dare non potest, pacem; ut et corda nostra mandatis tuis dedita, et, hostium sublata formidine, tempora sint tua protectione tranquilla. God, from whom are holy desires, right counsels and just works, give to thy servants that peace which the world cannot give; that our hearts may be given over to Thy commandments, and, the fear of our enemies being taken away, our times be peaceful under Thy protection. Today there is a veritable flood of outstanding sacred music publications. 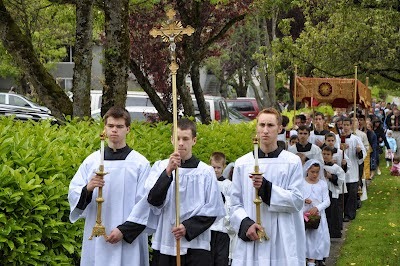 And they are coming not a moment too soon, as we see the desire for authentic Catholic liturgy growing, opportunities for learning multiplying, and a generational shift under way. Even if this shift is sometimes leading to a certain polarization among the faithful, nevertheless the need for reconnecting with our past heritage is widely recognized by many, including mainstream publishers. Most NLM readers are familiar with Bartlett’s company Illuminare Publications, which is bringing out the Lumen Christi line of books. 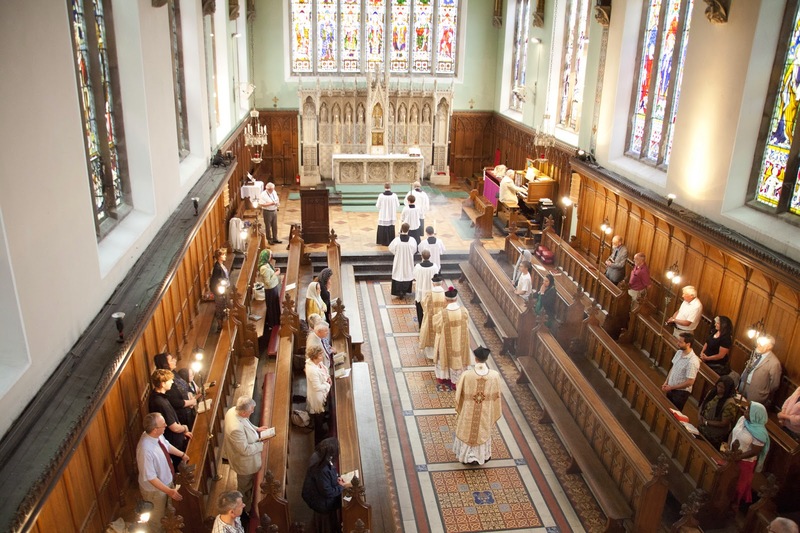 By offering a panoply of English chant that accounts for all the inherent needs of the liturgy, the Lumen Christi series faciliates, for the first time—or at least, for the first time with any ease of execution—a fully chanted English Ordinary Form liturgy. Not long ago I received review copies of both the LC Simple Gradual and the LC Simple Gradual Choir Edition, and I was quite impressed with the quality of their musical content, internal organization, crisp typesetting, and sturdy production. These should be no surprise to those who have already held in their hands the comprehensive and elegant Lumen Christi Missal. The LC Simple Gradual is nothing but an excerpted version of the LC Missal—that is, it contains all the chants of the Missal but not the Lectionary readings and devotions. (The LC Simple Gradual Choir Edition adds pointed Psalm verses.) Some parishes don’t want Lectionary readings and are just looking for a sleek, inexpensive volume for the pew in order to begin singing the Mass as the Church desires. This is the niche that the LC Simple Gradual fills, and fills more economically due to its slender size. The LC Missal and LC Simple Gradual are therefore alternatives, based upon community needs and financial ability. The forthcoming LC Hymnal can function as a companion to either. The LC Gradual will complete the series by furnishing a more extensive selection of chants, including more elaborate melodies, for the choir’s use on Sundays and Holydays. Do you want the lectionary readings as well as congregational chant? Your book is the LC Missal. Do you want just the congregational chant? Your book is the LC Simple Gradual, with a few copies of the Choir Edition for the cantors/choir. Do you want to add a substantial collection of classic hymns? Add the LC Hymnal (once it’s available, which I hear is relatively soon). 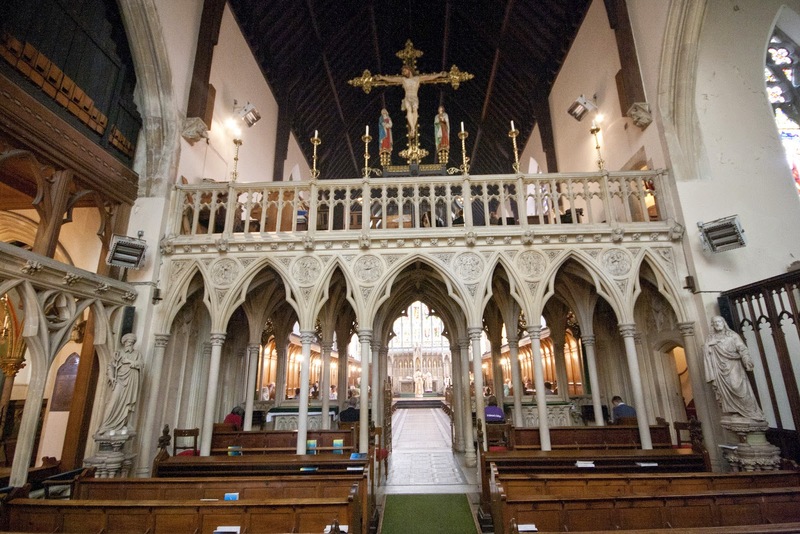 Do you wish to have fuller or more complex chants for the cantors/choir? Add the LC Gradual (once it’s available). The LC Simple Gradual Choir Edition comes with a masterful introduction that describes in detail what the guiding ideals are and how the books are intended to be used. Readers should keep in mind that this is indeed a Simple Gradual, with a full Gradual to follow it. The Simple Gradual provides a repertoire that is aimed at congregational singing through seasonal introduction of antiphons. The full Gradual will have every proper text set in a few different ways (including the Simple Gradual settings). Think of it this way: the Simple Gradual is a base repertoire for congregational singing, hence the seasonal options and sometimes abbreviated texts, whereas the Gradual is the book for the choir, which sets the full proper in its full integrity. For now, the role of the LC Simple Gradual is clear, so long as it is understood for what it is: a selection of liturgical chant for parishes to help them begin “singing the Mass” rather than “singing at Mass.” One can imagine the book sitting alongside various hymnals, with parishes introducing a few new antiphons each season, leading the faithful beyond a total reliance upon hymnody. In time, a base repertoire is built up, the parish gets used to chant, and hymns begin to take a backseat. This is a very non-radical approach to the problem, but one that is more palatable for most parishes today. 1. Saturday evening: LC Simple Gradual antiphons, with a few hymns. 2. Sunday at 9:00 am: Entrance hymn followed by LC Simple Gradual antiphon; English antiphon at Offertory or something more substantial on occasion; Gregorian Proper antiphon at Communion, at the beginning and end of the LC Simple Gradual antiphon, sung with English verses, and with congregation singing the English antiphon. 3. Sunday at 11:00 am: Gregorian Introit and Communion, Lumen Christi chants everywhere else, along with much polyphony. All of this is done in the context of a fully sung Order of Mass and chanted Ordinaries in Latin and English, as a norm. Bartlett tells me that it has worked out beautifully. 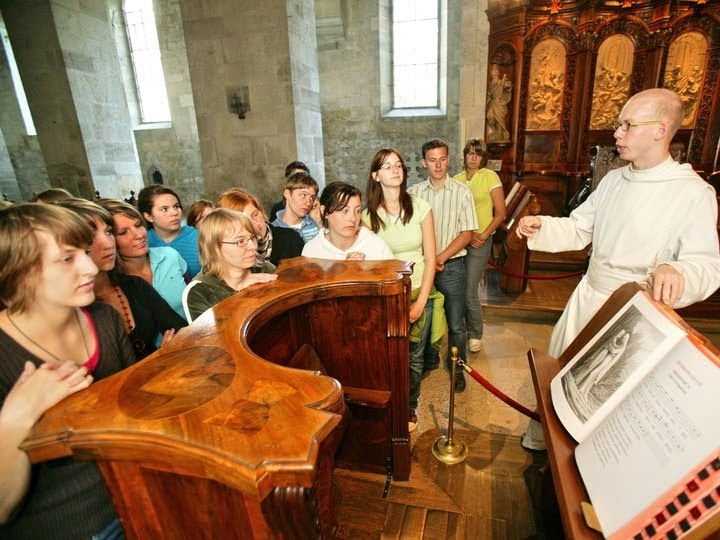 Some parishes, relying more heavily on hymnody, may inch more slowly into the Lumen Christi material. Still, it has the great merit of being accessible to them, and has the potential to open the door to so much more when the time is ripe. Here, a policy of incrementalism in the Ordinary Form context would seem to be more prudent, more realistic about the habits that need to be inculcated, and ultimately more assured of success, as people grow to appreciate the musical and textual prayerfulness that chanted Propers and Ordinary bring to the celebration of the Mass. We have encountered Gerhard Lamers' (1871-1964) work here before in relation to William Heyer's restoration and rehabilitation of the chapel at the Pontifical College Josephinum, but I was recently sent a photograph of a beautiful painting he undertook for a convent in Cincinnati sometime in the 1930s, and which now is in the possession of St. Mary's Church in Franklin, Kentucky (above). Lamers is one of those ubiquitous if sadly forgotten figures of early twentieth century Catholic art; like his contemporary Hildreth Meière, you may already be familiar with his work without even realizing it. 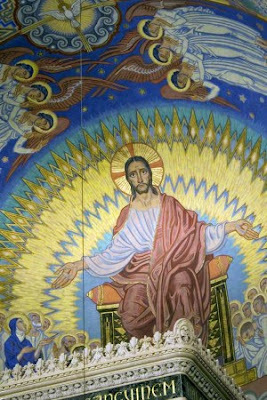 Of German extraction, he traveled first to the United States in 1925 to paint the stunning neo-Byzantine murals that grace the interior of St. Joseph's Cathedral in Wheeling, West Virginia (a work by that other forgotten master, Edward J. Weber) and later returned in 1928, where he remained associated with Cincinnati's large German Catholic community. One of his best-known work is the large mural (now lost) behind the high altar at the Josephinum, but he also produced stunning work at the Monte Cassino shrine at St. Meinrad in Indiana and numerous other locations. Several other examples of his work follow below. Barring his work in Wheeling, his marvelous murals are depressingly under-documented; any further information or photographs would certainly be certainly appreciated. There are also a host of images of the interior of St. Joseph's in Wheeling at this site. It is a day, we believe, chosen wisely by that Institute: we urge all our Catholic brethren, East and West, attached to the Ordinary Form (Mass of Paul VI) or to the Extraordinary Form (Ancient Mass), whatever their theological bent, to join this worldwide prayer day. Whether you consider yourself a more liberal, conservative, traditional, or just plain Catholic, let us join together in this worldwide Adoration of Our Lord Jesus Christ, together with all the Angels and Saints. 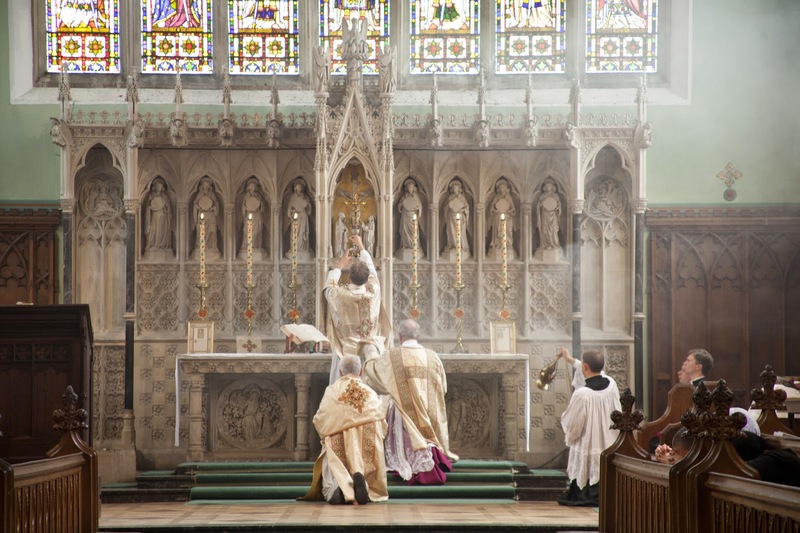 The Gregorian propers of her Mass (Introit, Gradual etc.) are taken from the various common Masses of holy women; in the Middle Ages, the Epistle was that of Holy Matrons, Proverbs 31, 10-31, “Who shall find a valiant woman? etc.” In the Tridentine Missal, a new Epistle was created, the Song of Songs, 3, 2-5 and 8, 6-7, which begins as follows. St Gregory the Great refers the words “I will seek him whom my soul loveth” to John 20, 11-18, when Mary meets Christ at the tomb and mistakes him for the gardener, in the Breviary homily for Easter Thursday. We must consider how great was the force of love that had enkindled this woman’s heart, who left not the tomb of the Lord, though even the disciples were gone away. She sought Him Whom she had not found there, (exquirebat, quem non invenerat) and as she sought Him, she wept, … Whence it came to pass that she alone, who had stayed behind to seek Him, was the only one who then saw Him. ‘Noli me tangere’ by Jacob van Oostsanen, 1507. The words of John 20, 15, that Mary Magdalene at first thought the Risen Christ was the gardener gave rise to a delightful tradition of portraying Him with various gardening implements, such as the shovel seen here, or the kind of broad-brimmed hat often worn by gardeners. 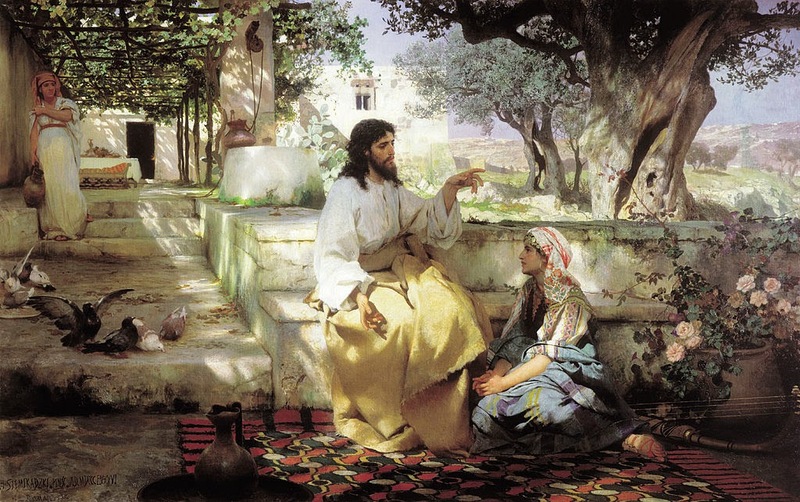 She is also traditionally held in the West to be Martha and Lazarus’ sister, of whom Christ says in the same Gospel “Mary hath chosen the best part, which shall not be taken away from her.” (Luke 10, 38-42) This passage is read on the feast of St. Martha on July 29th, the octave of Mary Magdalene; from it, Martha has traditionally been seen as the symbol of the active life, and Mary of the contemplative. The same passage was then read also on the feast of the Assumption, a custom inherited, like the feast of itself, from the Byzantine Rite; this was understood allegorically in the Middle Ages to signify that in the person and life of the Virgin Mary are perfected both the active and the contemplative life. The Byzantine Rite (in which the Creed is said at every Eucharistic liturgy) keeps July 22 as the feast of the “Fair Virgin, Equal to the Apostles, Mary Magdalene,” and on June 4 commemorates “Mary and Martha, the sisters of Lazarus the Just.” Neither of the two Marys thus distinguished is associated with the sinful woman of Luke 7, but the Gospel of Mary Magdalene’s feast day is the passage from Luke 8 noted above. The two sisters are traditionally numbered among the “Myrrh-bearers” who went to the tomb to anoint the body of Christ on the morning of the Resurrection, although they are not named as such by the Gospel; with them are included also Mary, the mother of James and Joses, Mary, the wife of Cleophas, Joanna and Susanna named in Luke 8, and Salome, the mother of the sons of Zebedee. They are commemorated as a group on the second Sunday after Easter, along with Joseph of Arimathea and Nicodemus. At Vespers of the preceding Saturday, the following idiomel is sung, paraphrasing Matthew 28 and Luke 24. In the traditional Roman Rite, Matthew 28, 1-7 is the Gospel of the Easter vigil, which concludes with a very much shortened Vespers; the antiphon for the Magnificat is the beginning of the Gospel, “And in the end of the Sabbath, when it began to dawn towards the first day of the week, came Mary Magdalen and the other Mary, to see the sepulcher, alleluia.” Even though the term “Apostle of the Apostles” does not occur in the Roman liturgical books, the liturgy itself proclaims this role for her as the first person named in the accounts of the Resurrection. The church of Rome was traditionally very conservative about the addition of new texts to the Office; one often finds that the proper Office of a saint hugely popular in the Middle Ages, such as St Nicholas, is found in virtually every medieval Breviary except that of the Roman Curia, the basis of the Breviary of St Pius V. Such is the case with Mary Magdalene, whose Roman Office is mostly that of the common of Holy Women. She has proper antiphons for the Benedictus and the two Magnificats, but none for the psalms; there are also three proper hymns, although that of Matins is a single stanza and a doxology. Three responsories at Matins referring to her are borrowed from Easter, but the rest are from the common of Holy Women. Celsi mériti María, quae solem verum resurgentem vidére meruisti mortalium prima: óbtine ut nos visu gloriae suae tecum laetíficet in caelis. 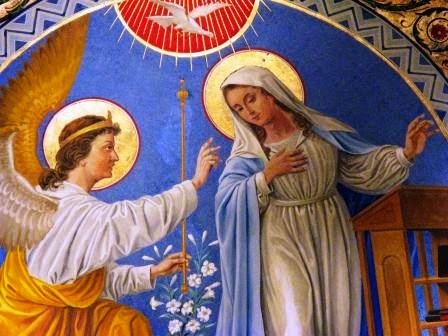 Mary of high merit, that first among mortals did merit to see the true Sun rising; obtain that He may grant us joy by the vision of His glory in heaven. O mundi lampas, et margaríta praefúlgida, quae resurrectiónem Christi nuntiando, Apostolórum Apóstola fíeri meruisti! María Magdaléna, semper pia exoratrix pro nobis adsis ad Deum, qui te elégit. O lamp of the world, and bright-shining pearl, who by announcing the Resurrection of Christ, didst merit to become the Apostle of the Apostles! 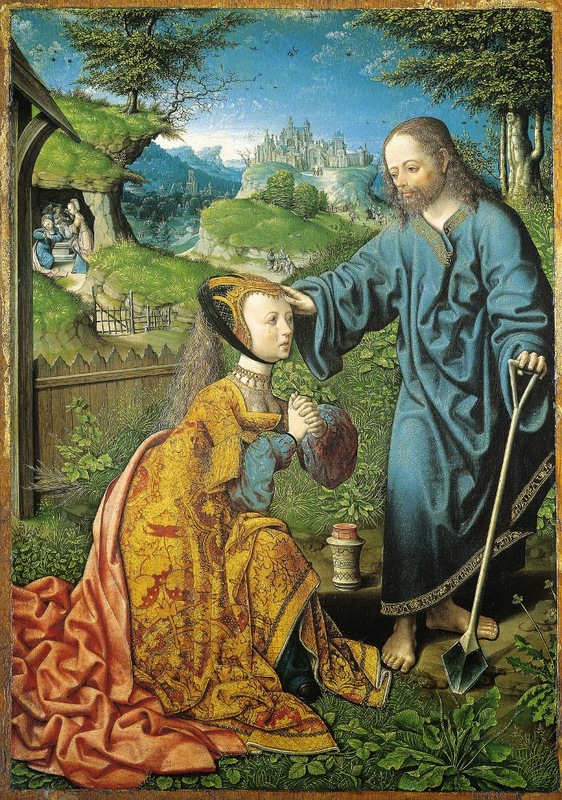 Mary Magdalene, of thy kindness stand thou ever before God, who chose thee, to entreat him for us. Outstanding among the responsories of Matins is the eighth, (necessarily not as beautiful in my poor English). R. O felix felícis mériti María, quæ resurgentem a mórtuis Dei Filium vidére meruisti mortalium prima! Pro cujus amore, sæculi contempsisti blandimenta: * sédula nos apud ipsum, quæsumus, prece commenda. V. Ut tecum mereámur, o Dómina, pérfrui felicíssima ipsíus præsentia. Sédula. R. O happy Mary of happy merit, that first among mortals did merit to see the Son of God rising from the dead; for whose love thou disdained the blandishments of the world: * by thy prayer, we ask thee, commend us to Him with diligence. V. That with thee, o Lady, we may merit to enjoy his most happy presence. By thy prayer. Fidelis sermo et omni acceptione dignus, quia Christus Jesus venit in hunc mundum peccatores salvos facere; et qui nasci dignatus est de Maria Virgine, tangi non dedignatus est a Maria peccatrice. Haec est illa Maria, cui dimissa sunt peccata multa, quia dilexit multum. Haec est enim illa Maria, quae resurgentem a mortuis prima omnium videre meruit Dominum nostrum Iesum Christum, quem pro nostris reatibus oret, quaesumus, in aeternum. A faithful saying, and worthy of all acceptance, that Jesus Christ came into this world to save sinners; and He that deigned to be born of the Virgin Mary, did not disdain to be touched by Mary the sinner. This is that Mary, to whom many sins were forgiven, because she loved much. This is indeed that Mary, who before all others merited to see our Lord Jesus Christ rising from the dead; and we ask that she pray Him forever for our sins. Lastly, we may note the Preface of her feast in the Ambrosian liturgy, another text that can only suffer in translation. 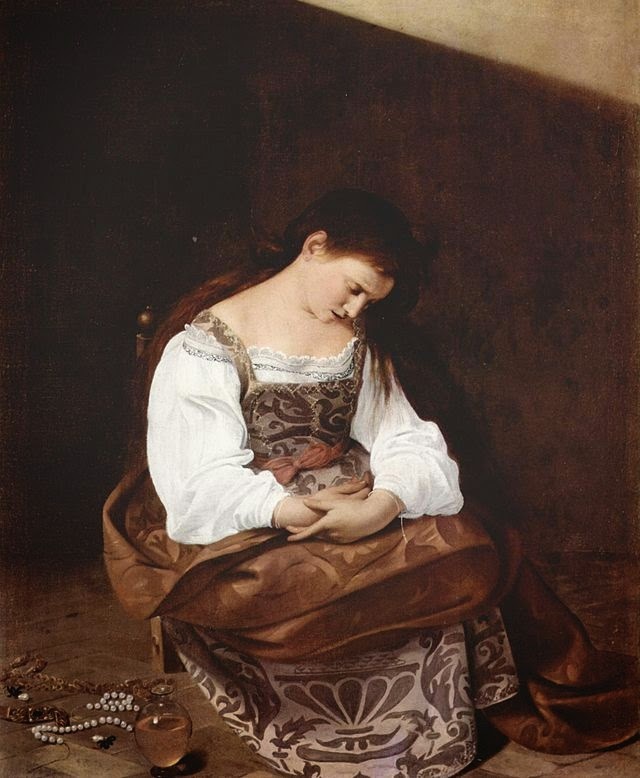 The Penitent Magdalene, by Caravaggio, ca. 1594-95. 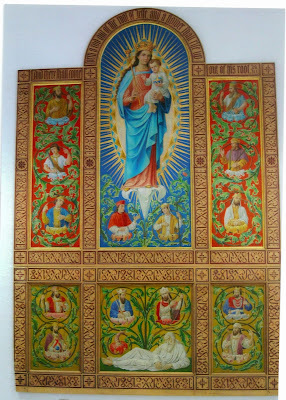 Artist Henry Wingate has just completed a large-scale commission for St Mary's in Piscataway in southern Maryland. Based in rural Virginia, Wingate studied with Paul Ingbretson in New England and with Charles Cecil, in Florence, Italy. Both Ingbretson and Cecil studied under R H Ives Gammell, the teacher, writer, and painter who perhaps more than anyone else kept the traditional atelier method of painting instruction alive. His website is henrywingate.com. The academic method, which Wingate uses, was first developed in Renaissance Italy and was the standard for art education and nearly every great Western artist for the next 300 years. It almost died out altogether in the first part of the 20th century but is gaining ground again now. For this commision, Wingate writes: 'The subject was the baptism of the Tayac, or chief, of the Piscataway Indians by the Jesuit, Father Andrew White. This took place on July 5th, 1640. It is well documented because the Jesuits were required to send a yearly report on their efforts here in the New World to their superiors in Rome, and those documents are available to read. The church that asked me to do the painting is Saint Mary's of Piscataway. The baptism took place in the Piscataway Indian village which was someplace near where this church stands today, possibly even on the land owned by the church. The painting is in the entrance way to the church, and above the new baptismal font. I finished the painting after about seven months of work, in time for an Easter unveiling. At the Easter Mass their were three baptisms using the new font. Two of those baptized were descendants of Piscataway Native Americans. One of the most interesting things I learned while doing this project is that most of the Piscataways, to this day, are practicing Catholics. Father Andrew White's efforts, and those of his fellow Maryland Jesuits, were very effective. The painting is 16 feet across and nearly 13 feet high. It is on canvas that is glued to panels. I had to cut a slot in my studio wall just to get the painting out and into a truck to get it to Maryland. The photographs show the completed painting and preliminary studies. On Monday 28 July at St Thomas, Apostle, Washington DC, there will be a Prayer Vigil to pray for our beloved brothers and sisters who are being persecuted in Iraq. Holy Mass will be celebrated at 7pm following which there will be Exposition of the Blessed Sacrament until Midnight. 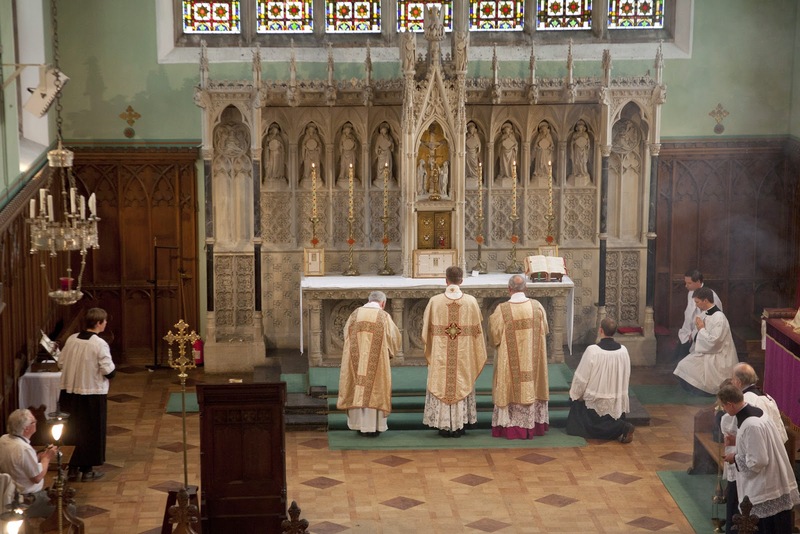 Priests are invited to concelebrate the Mass, and there will be an opportunity for confession. 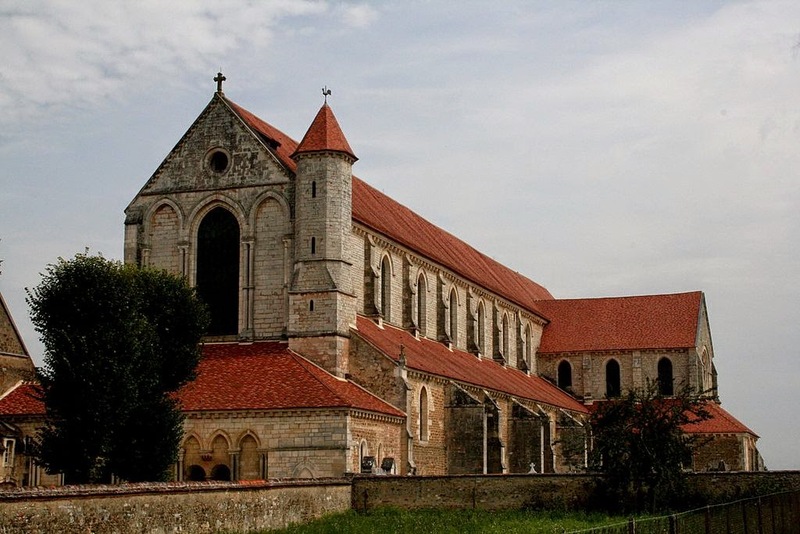 Last May while visiting a dear friend, Pater Edmund Waldstein, O.Cist., a monk of the Abbey of Heiligenkreuz in Lower Austria and maintainer of the ever-thoughtful blog Sancrucensis, I had the opportunity to see certain parts of the monastery that I had never seen (or seen up close) before. Among the stages of our tour were the immensely beautiful wooden choir stalls where the monks chant the daily Divine Office, to which they are very devoted. But it was not so much the woodwork that caught my attention as it was certain over-sized wood-covered leatherbound volumes set up between every other stall. As a cantor and schola director, these naturally engaged my curiosity and I asked Pater Edmund to tell me about them. Seeing my great interest, he not only obliged me at the moment, but sent notes and photos to be shared with the readers of NLM who might be interested in this fine example of contemporary book-making on a scale rarely seen. What follows is Pater Edmund’s account of the genesis of this project. 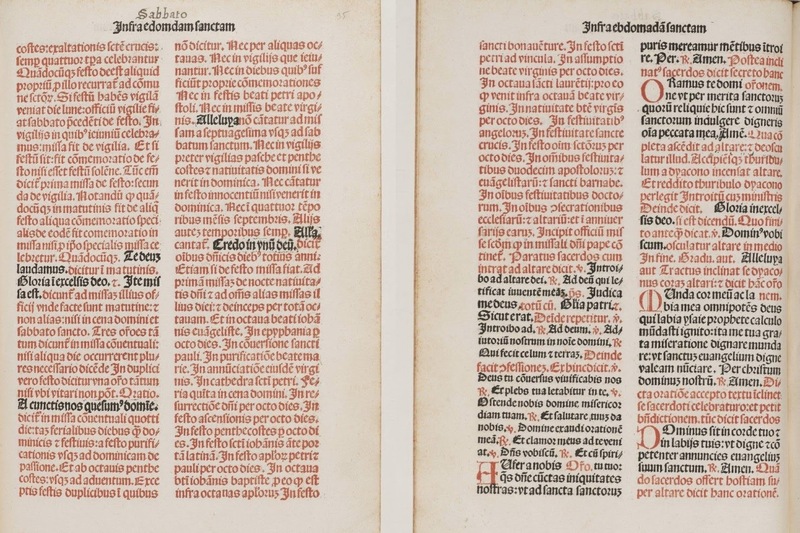 In the 1970s, hand-size editions of the breviary, hymnarium, antiphonarium, and psalter were printed. Inevitably, the wear and tear on the books, together with the desire for something more permanent and more worthy of the splendor of the liturgy, motivated the monastery to take a decisive step. In the early years of the millennium, work began on the large choir edition of the Psalter. For the new edition, everything was newly typeset by one of the monks, including all the music (this took him several years). 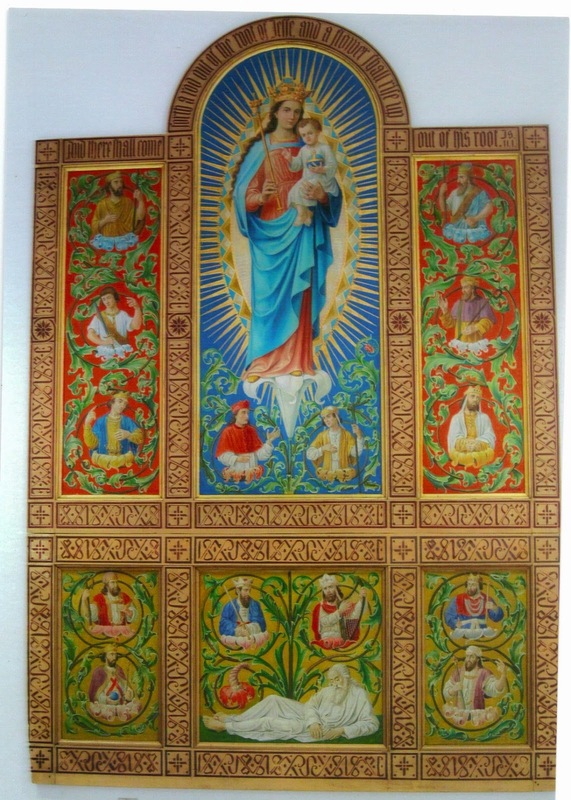 The choir Psalter is printed on thick Italian paper, usually used for reproducing art prints (size: DIN A3). It was bound by the monks in our own book-binding shop. The covers are made of wood harvested from the abbey’s own forests in the vicinity. The tabs are made of goat leather, and were cut and printed by one of the monks. The pictures are reproductions of pencil drawings by Michael Fuchs, drawn especially for this Psalter. Saint Praxedes is depicted in art squeezing the blood of the martyrs which she has collected from a sponge into a vessel. In her basilica in Rome, a part of the floor in the central nave is marked as the place where their relics were laid to rest within the building that was once her house. 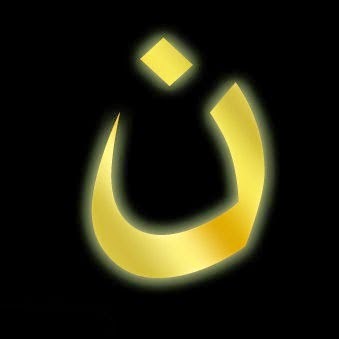 Especially on this day, let us remember and pray for all persecuted Christians in every part of the world. “Today (the Christians of Mosul, Iraq) are persecuted, they are driven away, they have to leave their homes without the possibility of taking anything with them. To these families, to these people, I want to express my closeness and assure them of my constant prayer. Beloved brothers and sisters who are so persecuted, I know how much you are suffering, I know that you have been stripped of everything. I am with you in the faith of Him who has conquered evil! And to those of you, here in the piazza and those who are following us by means of television, I address the invitation to remember these Christian communities in prayer.” - His Holiness Pope Francis at yesterday’s Angelus.